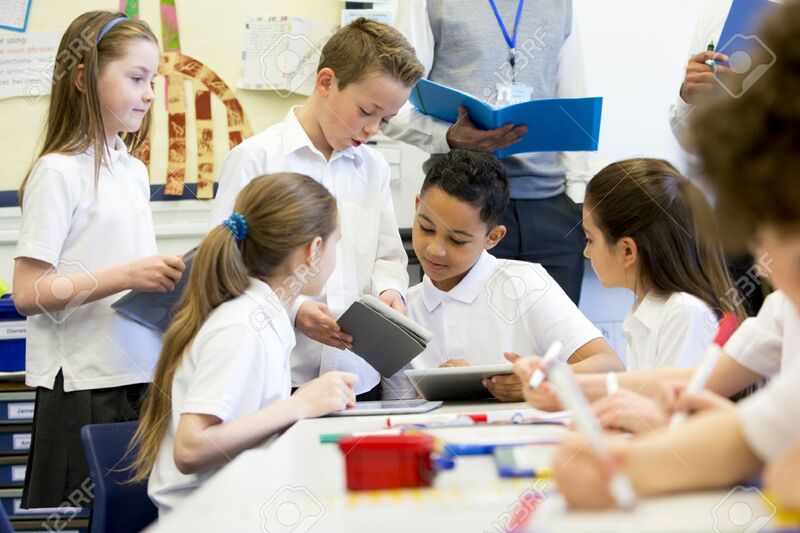 A Group Of School Children Can Be Seen Working On Digital Tablets And Whiteboards, They Are All Working Happily. Two Unrecognisable Teachers Can Be Seen In The Background. Royalty Free Fotografie A Reklamní Fotografie. Image 43346096.